About 6 months ago, I wrote a post entitled. Now I thought I would revisit my research and testing. Now there are only two choices. But Obihai does have advantages I really enjoy. They have official relationships with Google Voice and Ring To, which are both free services. I have OBI200 hooked up to Google Voice and Ring To. And Obi2200 hooked up to Google Voice. Google Voice is a tab ahead of Ring To. But for my mobile phone and Android devices at WiFi locations, Ring To is the better option. That’s because you really need to work Google Voice via Google Hangouts. For Ring To, I can go through the apps Ring To and GroovIP. Ooma reminds me of a big answering box. It’s also said to function as a router, between the modem and computer. I don’t recommend it. With services like Ooma or Vonage – both of which I have used – it’s best to use a router between the VOIP device and the modem. Of course, Ooma will try to up-sell you to the Ooma premier, where the box functions both as a call screener and a message box. I used to be on Ooma Premier subscriber. Before porting over to Ring To, I switched to Ooma basic. But I had to work with 2 different techs there, in order to get the switch made. Apparently, the first tech had some kind of misunderstanding – even through I had them send me an email confirmation. Then I had a junk spike in calls after the switch. This occurred even though I am on the Federal Do Not Call list. But I can’t necessary call this a cause and effect condition. In statistics, it would be a correlation. The key to Ooma is to get the tech to send you an email, summarizing what was said and done. This way, if there is a misunderstanding down the road, you have a record of everything. I have my home number moved over to Ring To. But I have a couple of Google Voice numbers I migrated over there for testing purposes. Even though I follow the directions Ring To gave, I can’t get the ported number to display on Caller ID. But Ring To has a great online community. 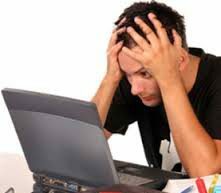 I just needed to install and reinstall the service and apps, in order to remove the cache component. Everything worked like a charm. The other issue is rebooting the devices. When I reboot an Obihai device, it takes about a minute or so to finish. But with Ooma, it actually takes five minutes or so. Perhaps it’s also checking for firmware upgrades. None of these issues is a problem with Obihai. 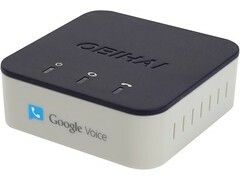 It’ can support Google Voice, Ring To or other. I like to check my Windows 10 and Android devices daily for either operating system or application software updates. I make a weekly check on my Obihai devices for firmware updates. This way, you insure the systems are running as smoothly as possible, with the latest bells and whistles. I have this system hooked up to a DECT Vtech phone system, which is set up with Vtech phones over the condo. It works just as well – if not better than – the Ooma system. And it’s much more cost effective. But I do have the Ooma system to give away. I’ll ship it free via Priority Mail in the US and I have a free activation code from Ooma. Let me know in my contact section, if you are interested. But I’ll first try to give it away to friends and family members. In 2 – 3 weeks, I’ll be following up with a review on the OBI1022 HD phone. I need some time to study and test it.